Syrah’s got style sorted. And when your bedspread looks this good – and feels this cosy – you’ll want to snuggle up to it all day long. 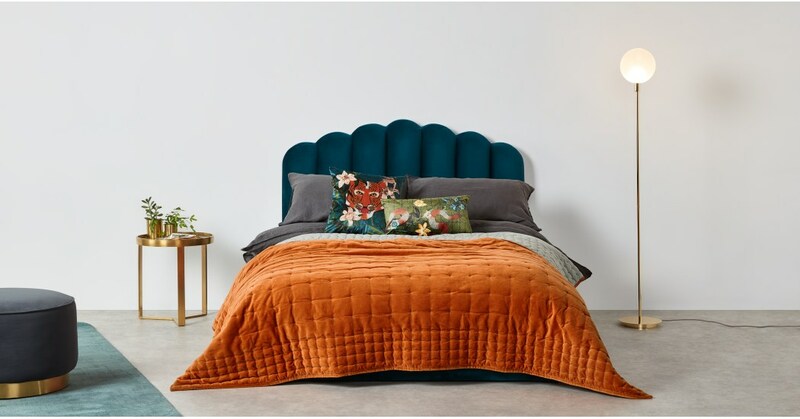 A classic look in a striking shade, the Syrah bedspread has been crafted from 100% cotton velvet. In burnt orange, it’s finished with a muted tone on the reverse. Designed by our in-house team, MADE Studio, Syrah’s got a traditional look – with a little extra. The hand stitched details add a level of luxury, too.